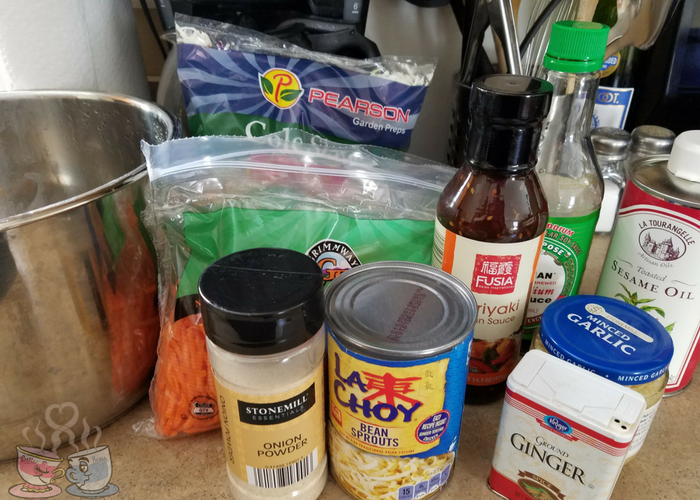 I keep seeing this posted amongst my friends and I decided to try my hand at making an Instant Pot Eggroll in a Bowl. Honestly, I have seen this made with all kinds of vegetables and meats, but I chose a vegetarian option since I was looking for something filling but low in points. 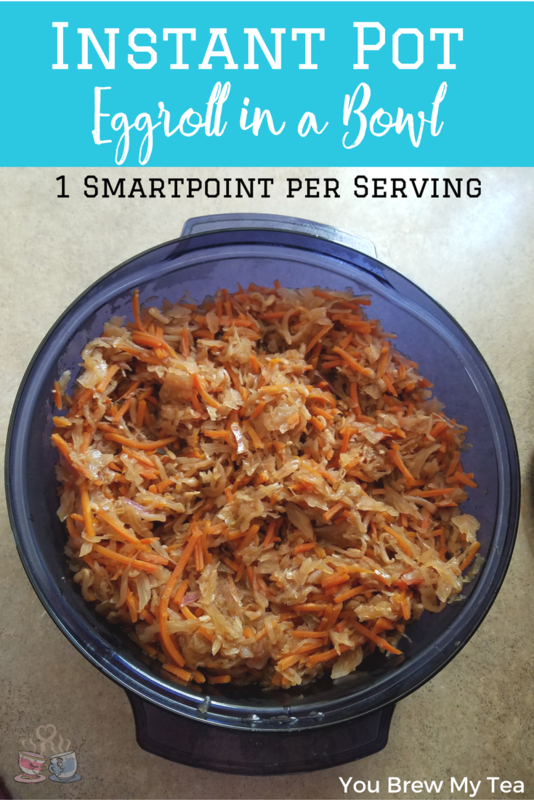 On the Weight Watchers SmartPoints plan, this is only 1 SmartPoint per serving! This post contains affiliate links that may earn me a small commission when you purchase via the links. Adding in seasoned ground turkey or pork is a common option, and one that would still be low points value if you are watching for Weight Watchers. However, we feel it is totally unnecessary and we love using just this simple recipe for a side dish, or even just a large vegetarian meal. I use the Instant Pot DUO0 8-in-1 Pot, but you can use whatever version you prefer. 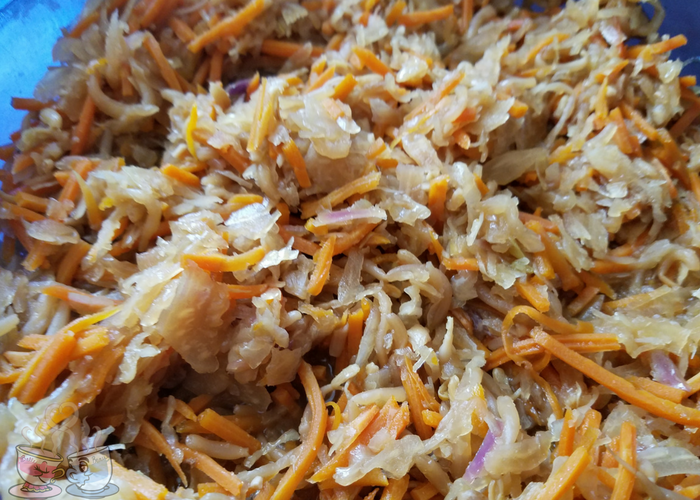 I love that this is something I can make in just a few minutes and can add tons of good nutrients, fiber, and flavor to any meal. 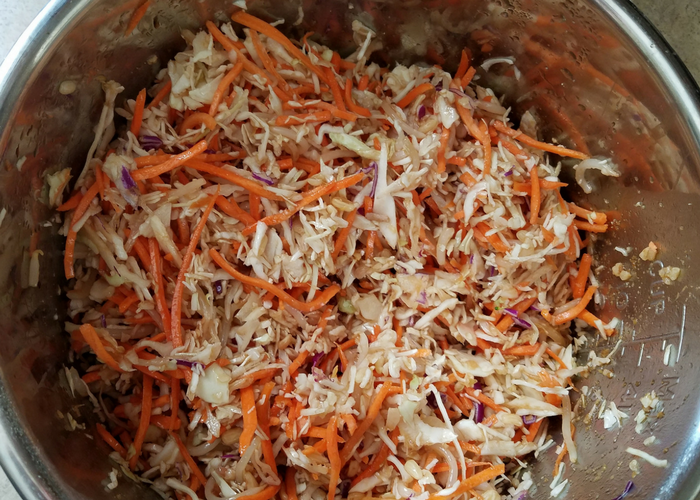 Pour in cabbage, carrots, and bean sprouts. Cover with sauce mixture, and stir to incorporate well. Cover and set lid to seal. Set to manual and adjust to 7 minutes. Allow to come to pressure and cook for 7 minutes. Quick release, and remove lid. Stir well and taste. Add salt and pepper to taste. I like doing this for a side dish along with grilled chicken or our Slow Cooker Teriyaki Chicken recipe. However, if you are vegan or vegetarian, you can easily use this as an entree by eating a larger portion over a bed of brown rice or other whole grain. It is full of flavor, and tons of fiber. That means you’ll stay full longer, and the lower calories and points make it a favorite. While many recipes out there call for browned sausage or ground pork, I prefer this without the meat. As our family transitions from vegetarian to vegan for health reasons, it just makes sense to start off by including recipes like this into our diet. However, if your family is a meat eating/loving family, then you can easily brown some sausage or ground meat of choice and mix into this after it has cooked. Some even grill up some shrimp and toss with this mixture. Make this eggroll in a bowl recipe easily in your Instant Pot. Using an Instant Pot or other electric pressure cooker helps eliminate mess in your kitchen, and saves a ton of time! Hi! 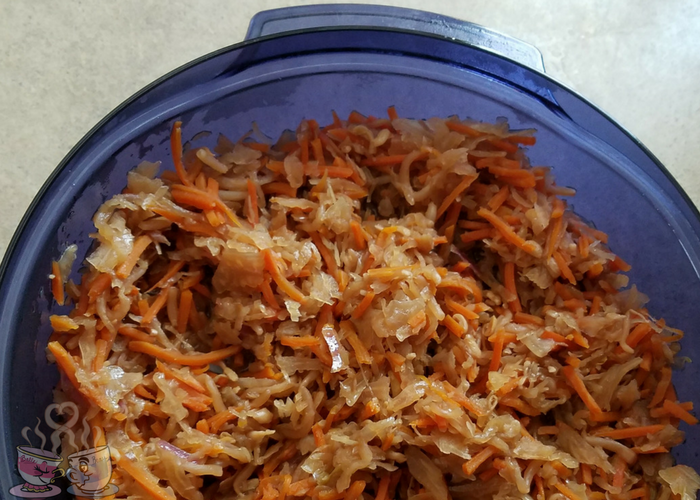 Love this recipe and have made it a few times, but recently was advised by my doctor to cut out all added sugar, meaning that the teriyaki sauce is out. Is there a good recommended substitute or should I just double the soy sauce? (Don’t want it to be too salty either!). Thanks in advance! Hmm..you could make your own homemade with a sugar substitute. There are also some sugar-free or low-sugar versions you may be able to find at an Asian grocery store. This looks DELICIOUS! Would it still be 1 point if you’re using the Freestyle point system? I have always made it without adding the teriyaki sauce and it is still very good. If I added Chicken, I would have to increase the time on the InstaPot. Do you think that would change the consistncy of the cabbage mixture? I would do the chicken first, shred it, then add the cabbage mixture in for just a few minutes. This sounds good…has anyone tried it as a bowl? Such as, layering with kale, brown rice, white beans etc?